7th Inning Splash is Better with Friends! 7th Inning Splash offers party packages for groups of ten or more. Party packages are designed to include everything you need to host the big shebang — stress free. Throwing a big bash? Otter Creek is also available to rent exclusively for your large gathering or field trip. A $50 non-refundable deposit is required at time of booking. No outside food or beverages are permitted. 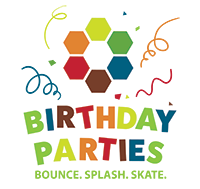 If you have questions about parties, please contact Jill Brookey at 864-299-1842 or [email protected]. Half payment (nonrefundable) is required to hold the date, and the balance is due 14 days before scheduled party. No outside food or drink allowed. Concessions available upon request. Contact Jill Brookey at 864-277-1809 or [email protected] to learn more or make reservations.